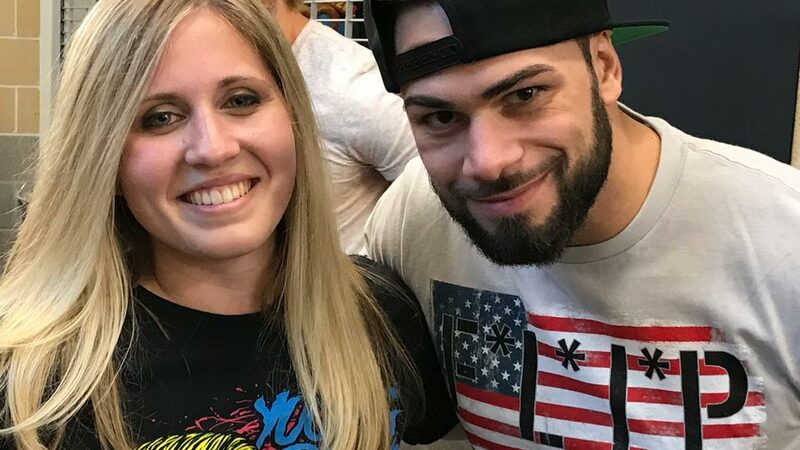 We caught up with ROH superfan Annemarie of Rockland County, N.Y., to discuss the origin of #HonorClubGirls, how attending her first ROH show changed her life, her affinity for Matt Taven and more. 1. How did #HonorClubGirls begin? #HonorClubGirls started when my three friends and I began live-tweeting the ROH pay-per-views and live events and joked, saying we should come up with a name. I’m not really sure who chose that name. It’s been crazy to see how quickly it caught on. We’ve got lots of other friends -- guys and girls -- who join us now. It feels like a party every time, even though we’re spread out all over the country. 2. You’ve said that attending your first ROH show two years ago literally changed your life. How so? I was in a bad place two years ago. I got laid off from my job and lost two very close family members, all in just a few months. At the very beginning of 2017 I really started getting into Ring of Honor and decided to go to my first show. I met some of the wrestlers before the show. The show was so exciting and it was all about focusing on great wrestling. I was surrounded by so many passionate fans and I felt at home. That’s when I knew I’d be a fan for life. That’s when ROH became an escape for me and helped me deal with my struggles until I made it through. 3. You’ve become friends with a number of ROH talent. How did that happen? Who are you closest with? I don’t know! It’s crazy to think about. I sit front row for every ROH show I go to because I really want to be up near the action, and because of that I feel I’m easily seen. I also go to a lot of shows. Twitter is a massive tool for connecting wrestlers and fans. I show my support in any way I can and make sure I mention them. I feel like the current talent I’m closest with are Kelly Klein and Matt Taven. 4. Speaking of Matt Taven, we find him to be a real jerk. He always calls us Melvins. What do you like about him? Matt is just misunderstood. He’s a simple guy and he really believes in himself, as he should. He’s incredibly talented in terms of wrestling and on the mic. But we all knew that. Matt is truly a nice guy to his fans. He really is appreciative of the support he gets and he does a lot of great things for everyone. He makes you feel like a friend. And he loves the #HonorClubGirls. 5. What makes ROH stand out from other promotions for you? I love ROH because the focus is always on wrestling. There’s no crazy storylines, promos are short and sweet, and we can see anyone on the roster face anyone else. It’s not the same matches over and over. It feels like the talent and everyone else truly enjoys being there. It’s just a great environment. 6. Which cities have you attended ROH live events in, and do you have a ritual for show days? I’ve been to shows in New York City, Philly, Baltimore, Dallas and San Antonio. When there’s an ROH show, that’s the focus of my whole day. I have to pick out the shirt I want to wear. We take the trip to wherever the show is, grab some food, and when we get there and inside, we go catch up with friends and wrestlers. Then we just have a great time at the show. I hate when it has to end. 7. Do wrestling fans at shows recognize you? Do you get the “celebrity treatment” from them? They do, and most often at Ring of Honor shows I get to meet people from Twitter. I think maybe some people think of me as a wrestling Twitter celebrity, but I don't want to be treated a special way. I’m just like any other passionate fan, but maybe just a little more vocal about how much I love wrestling. 8. Tell us about your “Ringside Recap” podcast. How did that get started and how can people find it? Tommy [Walter] has another podcast and he asked me to interview on it after All In. In early January, he asked me if I wanted to do a weekly podcast focused on ROH and independent wrestling shows I go to. I decided to give it a shot because I love talking about wrestling. We just hit 10 episodes and the support has been great so far. It’s available on Spotify and iTunes, most notably, or you can find information on @RingsideRecap on Twitter. 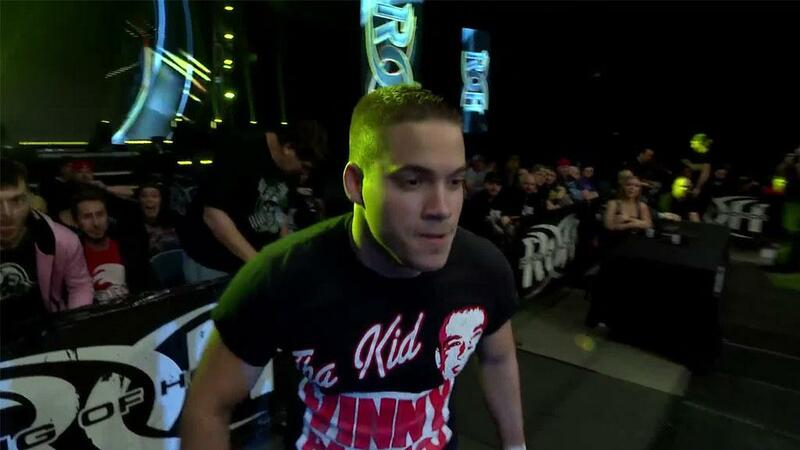 9. Who do you think ROH’s next breakout star is? I think ROH’s next breakout star could be Mark Haskins. Mark has been dominating in the UK and I’m glad there’s a new way for more fans to get to see him. He’s incredibly unique, talented and has a great style. Plus, he’s a very nice person, so he really has my support. 10. Have you ever thought about getting into the business yourself, either in or out of the ring? I would love to be in the business! I feel like the time has passed for me to get in the ring myself, but the possibilities of being involved in some other way are still there. I work in IT now, and if I could ever combine my skills in that field with my love and passion for wrestling, then that would be a dream come true.